One of the most common ways to earn money online is to set up a blog. Though it may require a lot of hard work initially, most people have managed to earn a full-time income with it through blogging. If you work full-time, then it will probably be harder for you to manage. However, if you work part-time, freelance, or are unemployed, then starting a blog is a good idea. The reason we are saying this is because, a blog takes up time and effort, though not that much investment. Thus, the fate of your blog rests on the time and effort you put into it. The blogging community has become a highly competitive market, especially in the recent years when many people have taken this up as both a hobby and a career. To help you start your blogging journey, we have compiled a systematic guide to show you the ropes. Use the links below to jump to specific sections of the post. Before you start blogging you need to choose the niche you will be catering to. If you want to be successful in your blogging endeavor, you must choose something that you are passionate about and focus your blog on that particular niche. The first should be a list of your interests, passions, and hobbies, and the second should be a list of your favorite publications and blogs. Go through these lists and see which niche is something you can blog about, without the fear of running out of topic ideas or getting disinterested. Once you have chosen your niche, you now need to choose an appropriate platform depending upon your unique needs and requirements. There are a huge number of platforms that you can choose from when creating your own blog, including WordPress, Squarespace, Blogger, Wix and Weebly, to name a few. Each platform has their own pros and cons, however, WordPress is known to be the most popular one, as it offers extreme flexibility and optimal functionality. Plus, there is a huge community of users that will support you throughout your journey by offering various tools and ideas whenever required. Check this Infographic to know why WordPress is a great choice. If you choose to go with WordPress, you will have to decide between two options – self-hosted or hosted. Hosted blogs are free but limit your earning potential. Self-hosted blogs cost a small amount of money initially but offer a lot more flexibility in terms of control. Plus, your income potential will not be limited either. Beginners and newbies usually opt for self-hosted versions due to the flexibility and options that it offers in the long-run. Since WordPress is basically a software, it cannot give the masses access to your blog. If you want to make your blog go live on the internet, you have to find the perfect host. To provide online users access to your blogs, you need to get access to server space. Your hosting company will provide you with the server space you need to make your blog go live. Free services of web hosting usually works well when you create a personal blog just to get in touch with your family and friends. However, if you intend to generate income through your blog, you may be better off with a paid service as it provides your own domain and comes with many customizations. I personally recommend BlueHost or Siteground, especially when you start a blog for the first time due to its ease of usage and 1-click installation. Siteground (which im using in this blog ) is an r excellent choice for web hosting. It is recommended by WordPress itself which is the testament to its quality and reliability. It is equipped with many performance enhancing tools, combined with 99.996% uptime and friendly user interface, making it a great choice for web hosting. BlueHost is another known web hosting service which allows you to create attractive and effective pages for your blog. It has a wide range of hosting options which gives great flexibility. Moreover, the highly secured servers and excellent uptime ensures that your blog is working perfectly. BlueHost is also linked with WordPress and the one-click installation makes it a very feasible hosting choice. It will be unfair not to mention the excellent support provided by BlueHost. So in case, you incur any problem while the configuration of your blog, you can contact them to troubleshoot the issue. To learn more about good hosting solutions for your blog, check out our article ‘Blog Hosting Solution – Which is Reliable for you ?’. 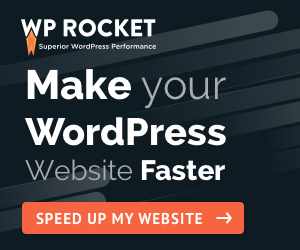 Now you can start working on your WordPress website. Log into to your account and get started! Choose your preferred theme, and start customizing your website. Your site will initially be on a temporary domain since it takes around 24 hours to get your domain name registered. The WordPress dashboard has all the options needed to customize your website, for example, you can adjust the background and theme according to your liking. When you decide to create your own Blog, there is one important step to follow: choosing a domain name. Of course, the list of these registrars (registrars of domain names) is particularly long and you do not know where to turn. A domain name is basically your web address. You could use a username, or create something short and catchy. In this article, I have chosen to present only the registrar I am currently using. Of course, you are free to take the registrar of your choice. Namecheap is the registrar I use for the domain name emarketinghacks.com. Namecheap defines itself as a "registrar leader, accredited ICANN, domain name and web hosting that was founded in 2000. Today, Namecheap has more than 800,000 customers and more than 3 million domains under its management" . One thing that stands out about NameCheap is its independence. A lot of budget hosting companies are in reality owned and operated by a handful of the same corporations. This has allowed them to craft unique brand values and actually stick to them. In other words no hidden fees, transparent pricing and renewal structures, no upsells, along with having a very straightforward and honest products. Quora: What is blogging and how can I start my own blog? Once you have set up your own blog on WordPress, you now need to focus on generating content that will drive traffic towards your website. Traffic is what helps in driving real money into your pocket. Traffic is basically a term used to describe the number of users visiting your website. The more traffic you generate, the more leads and sales you will be able to achieve eventually. The most important element that helps in attracting organic traffic to your website is content. You must create content that will keep your audience hooked in the long run. Here are some practical ways you can use to generate content that brings a huge amount of traffic to your website. The first and the most important step towards creating a successful blog post is to choose a catchy topic that will generate the interest of the users. Look for topics that are trending to gain the attention of the masses. A catchy title is the key to success to attract the attention of Internet users. 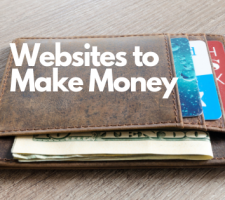 This is your golden ticket to increase the traffic of your website and develop your audience. Your title should spark the interest and curiosity of your potential readers and inspire them to read all of your content. Your title also has an impact on your SEO. Indeed, if it contains the right keywords, it will allow your content to be well positioned in the top places of search engine results. 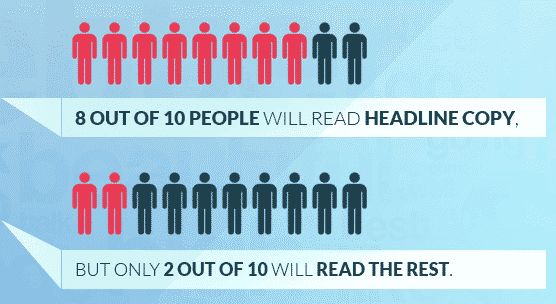 This post will help you write a catchy headline in 1 Minute and 7 Seconds. Though it is important to create content that resonates with the reader and helps in building a connection, it is equally important to optimize the content by adding the relevant keywords. Incorporating the right keywords enables you to improve your search engine ranking. There are several tools available online that can help you generate the most powerful and trending keywords, such as Semrush. Never underestimate the power of keywords, as these can help you multiply your traffic significantly. Google trends is unarguably one of the best ways to see which keywords or phrases have been searched during given time. Having this information is vital in order to generate stories and articles to cater the requirement of viewership of your blog. If used correctly, it can allow you to gain valuable insights and provide a tremendous opportunity for value addition to your blog. As the basic principle behind how to make money blogging is knowing your audience, this tool can really help boost the profitability of your blog. Social Media can work as a great means of research and staying up to date with the latest news and trends. While not every news shared on social media is 100% authentic, it can still be used as a great way of staying up to date. However, you should always verify whatever you have read there, after which you can use the knowledge as a topic for your next blog. Apart from that, you can run social media polls for research to know what is generally liked, and what your followers think about . Their reactions and votes can be used as research in your blog posts and to know which type of content is generally preferred. Websites ranking top on Google have an average word count of at least 2000 words. This is because Google and other search engines want to locate the best content for their users, thus it is highly unlikely that a 250-word article will be considered optimal. Apart from the word count, you need to focus on the content as well, making sure it is relevant, engaging, and interesting to keep the users hooked. An analysis done by Curata found that long-form content, on average, generates 7x more leads compared short-form articles. They have done someadjustment on their own content strategy to allocate a number of of their resources towards creating quality, long-form content. the below chart shows the result. Do not forget to keep the formatting consistent throughout the blog post. If you have any confusion about how to structure your blog post, how to make it more engaging, or how to write it, then check out ‘How to write a quality article using these 16 Steps’. If you want to instantly add life to your content, the best way to do so is to add the relevant images to spike the user’s interest. Users are usually attracted to blog posts that contain pictures. There are multiple websites available on the internet that offer amazing, royalty-free images to perk up your content like pexels. Aside from images, you can include other graphics in your content too to make it interesting, such as infographics, gifs, videos and even polls. 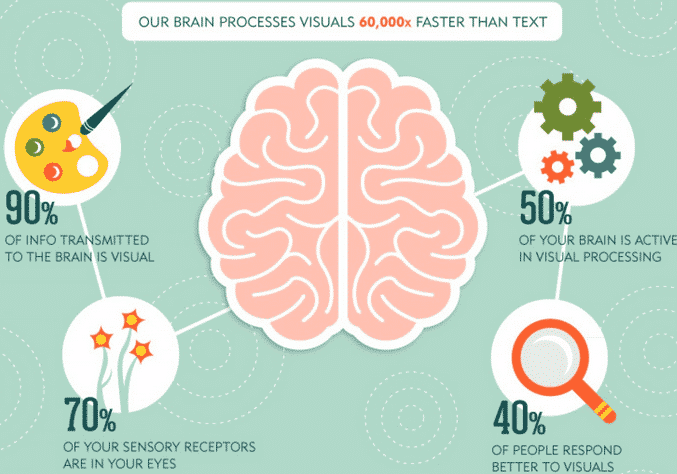 The brain processes visual information 60,000 times faster than text while 90% of information transmitted to the brain is visual. There are multiple gif makers available on the internet that you can use. Also, there are various websites where you can get free templates, royalty free music, paid stock images and whatever else you need to make your blog more engaging and interactive. On a side note, always remember to credit the sources if you use someone else’s work, photography or any other type of content. Otherwise, you might land yourself a plagiarism or piracy lawsuit, with a hefty fine. Else, a service like Visual.ly can help you create good graphic. Linking is great for SEO, as it helps in attracting traffic to your website. There are two types of linkings – internal and external. Internal linking occurs when you link to pages on your website. This enables readers to stay on your website for longer and to check out more of your content. However, external linking is when you link to pages belonging to someone else. External linking is also necessary, but it is better to include lesser external links in your content, as external links redirect the visitors off from your website. This not only affects the conversion rate, but also the bounce rate of your website. Both these methods enable Google to understand what your content is about, and hence help in improving the ranking. Once you have done all the above, you now need to optimize your content for the search engines. On-page SEO improves the search engine results for your blog post, making it appear in the top results on Google. People generally visit the links that appear on the first page of the search results. Thus, if you want to direct traffic to your website, the first thing you need to do is align your content with your SEO strategy. One way of doing this is by adding a WordPress plugin named Yoast SEO. Yoast SEO will evaluate the keyword used in your blog post, and then tell you what you need to do, to boost the ranking of your post. Give ‘141 Actionable SEO Guides, Articles, Case Studies and E-books’ a read to learn more about keyword integration and smart SEO for your blog. Apart from optimizing your blog posts for good On-page SEO, you also should make your blog SEM friendly, and focus on Off-page SEO. Below are some tools that can help you optimize your blog posts for a better reach. A common mistake many bloggers do is that they focus a lot in SEO but neglect keyword research. It will not be an understatement to say that SEO is almost non-existent without proper keywords. If you want to know how to make money blogging, it is essential that you know about the keywords you use in your posts, otherwise it will be very difficult to redirect traffic to your post. KW Finder is an amazingly long tail keyword research tool, which comes with a clean and easy-to-use interface. It can be used to search for CPC, search volume and trends. It also shows the difficulty level of the keywords. It can really help with the site ranking, especially when combined with content marketing. 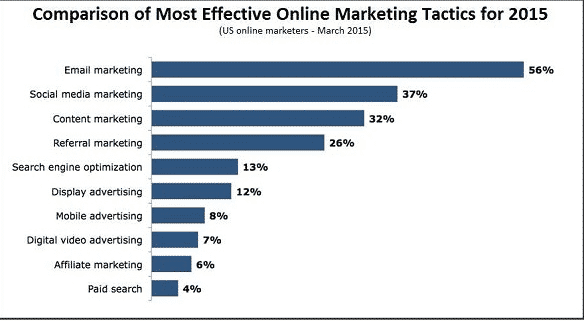 In this example the keyword ''content marketing'' is 64% difficult to rank. If you want premium keyword research tool and do not mind spending some cash, SEMrush is an excellent choice. It comes with so many advanced functionalities such as SEO and PPC research, long-tail keywords, and regional databases (over 140 regions) to increase your web presence. Do you want more ideas on how to increase traffic on your blog aside from optimizing content? If so, then give our post ‘54 Ways to Increase Website Traffic’ a read. It will surely help you. Keyword planner: a free keyword research tool. Promoting your blog is a critical but essential activity. The right promotional activities can create a strong readership base and thereby turn your blog into a profitable venture. On the other hand, putting time, effort, and investment in the wrong place can be a huge loss for you. The first step to successfully promoting your blog is to identify your target audience and readership base. If you know who your readers are then it is easier to reach out to them. There are many ways to do so, however, the most effective ways to promote your blog are through social media marketing, guest blogging, meet and greets and influencer marketing. Social Media Marketing is done through the creation of a strong online presence of your brand on different social media networks such as Facebook, Twitter, Instagram, and Snapchat. There are two ways of marketing your blog posts – organic marketing and paid marketing. Organic social media marketing consists of a steady stream of sharing content and interactions to build a strong online community. This method can take a long time to gather subscriptions; however, the retention rate of these followers is relatively higher. 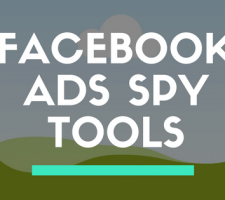 The other method is through paid marketing, where you have to invest in running ads on social media platforms, to boost your posts to a larger audience. Paid marketing gets you more followers and shares, but it requires a small investment. ​Facebook is the most commonly used social media network for businesses and bloggers to promote their content. The first step for any blogger, entrepreneurs or business owner is to create an official page for their brand, website or business. After that, you need to identify the niche you are targeting and share content that will attract them. The content can be of any type; it can be a blog post, gif, video, image, or infographic. However, be sure not to post anything that violates the rules and guidelines of the website. You can also leverage Facebook’s ‘live’ feature to hold live chats, interviews, webinars, and sessions with your followers. This will increase engagement amongst your followers and readers. Facebook groups and communities are a great way of promoting your content without having to pay for it. You can post relevant content in different communities to increase the reach of your content. And you can post your blog posts in various groups and hold discussions, to increase the reach and improve the engagement. Furthermore, you can opt for paid promotions and advertisements, if you want a quicker response, by boosting your posts to a relevant audience. please support by joining our facebook group here. While Twitter is such a profitable social media platform for businesses, it is great for bloggers as well. Bloggers cannot only share their posts on Twitter, but can also work for better engagement through direct messages, tweets, and retweets. Another Twitter feature that you can use to increase engagement is polls. You can create various polls on Twitter and run them for however long you want (1 day to 7 days). 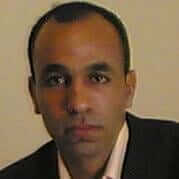 Google+ is not a social media platform we would advise you to invest a lot of your time on due to its tricky nature. You can get a lot of followers and readers if you promote your content in the right communities. However, it is against the policies of the most communities to let people promote their business or blogs. Thus, if you are caught over-sharing your own content and doing blatant promotions then you might get banned from a community. Also, Google+ might temporarily hide all new posts from you from appearing in communities if you were previously caught promoting your business or blog. Instagram is mainly a platform for visual beings. While you can get a number of followers by posting quotes, tips or other such things in the form of images, or even short videos. You can get the most out of Instagram through sharing of the picturesque locations, mouthwatering food, and other such images. Instagram is a good option for food bloggers, travel bloggers, fashion bloggers, stylists, and makeup artists. Makeup influencers and bloggers have a great scope on Instagram as they can post short makeup tutorials and new looks on the social media platform and give the link to their blog post in the captions section. Apart from mainstream social media websites like Facebook, Snapchat, Instagram, Google+, YouTube, and Twitter, there are many other platforms such as Quora, Tumblr, and Reddit, which can help you to increase the traffic on your blog. Interact in the right communities, create and share engaging content for social media, and do whatever you can to build a strong follower base. If you want to know how to make money blogging, then you must think outside the box, and come up with newer and creative ways to survive in this highly competitive and already well-established market. ​Quora is a question-answer based platform which allows the users to ask, edit and answer questions. The process is quite simple, first make a profile by entering your complete information, adding a profile picture and engaging bio. Secondly, choose a topic that aligns with your blog. Many people ignore this step and start writing about so many topics which makes their campaign ineffective. Start crafting your answers in a way that it represents your blog personality. A blog helps the user to broaden their perspective as well as provide them solutions about various topics. Quora serves the same purpose and therefore, same mechanics are applied for success in Quora i.e. quality content, visually appealing images and consistency. You may join me here in Quora. Reddit.com is a content sharing website which contains trending topics, video clips, memes and breaking news. The site is in place from 2005, but it is not usually considered to generate traffic mainly because of its tough crowd and their negative stance towards the users who submit their own content. That being said, it can be a useful source of generating traffic for your blog if you know your audience, present your post with engaging title and visuals. Moreover, the post must be submitted in the correct subreddit, so it does not get lost in the bottom. You must also be wary of their rules or else you can get banned from the website. Guest blogging or guest posting means writing a blog post that will be published on someone else’s blog or website. Some websites allow this practice to be done until the blog post you are writing is relevant to their content strategy and is in line with their rules. However, some websites charge a small fee for posting your content. The benefit of guest blogging is that you will get a chance to put your content in front of new readers, thus, getting a chance of gaining more followers. Meet and Greets, Instameets, and organizing and participating in local events is an effective way of getting more involved with your own community, making more connections and gaining a new fan base. Also, it allows you to interact with your loyal readers and thus form a stronger bond. The latest promotional method, which has also proven very effective for most bloggers and brands, is influencer marketing. Influencer marketing involves paying influencers to promote or mention your blog amongst their followers. Google AdWords is a great way of attracting attention to your blog. It is an online advertising tool that allows businesses and bloggers in your case to bid on keywords. When a user goes online and searches those keywords, the search results that will appear will contain your clickable links. Google AdWords follow a Cost Per Click (CPC) model, which basically means that you will be charged a fee, every time a user clicks on your ad. E-mail marketing has been around for ages and yet still a very effective method of digital marketing. The best thing about it is that you own your subscription list and any changes in algorithms or new startup channel cannot affect your blog traffic. People who know how to make money blogging understand the importance of E-mail marketing and that is the reason you will see every successful blog spending a good amount of time in managing and customizing their E-mails. Also, you have the chance to get six times more click-through from an email campaign than you are from a tweet or a share for instance. Mailchimp is by far the best emailing service I know. I use Mailchimp for most of my projects. The interface of Mailchimp is very refined, easy to use. Items and forms are widely spaced and all operations that contain multiple steps are clearly presented. The Mailchimp interface is really nice to use. You will become familiar with it very quickly. Several advantages to its use including the integrated management, several formats of e-mail and especially the possibility of being able to import your basic mailing list from Excel, Google Drive, Gmail, etc. You can easily bridge with other web applications like WordPress. The site is also very easy to handle because it works with the system of drag and drop, everything moves and slips. ConvertKit is a new, yet very promising E-mail marketing software. They do not offer any free plans and their pricing starts from $29. It provides a very flexible user-subscription management system, landing page editor, and a very responsive support team. The only problem with this service is the limited designs available. They also offer a 14-day trial period so you can get a refund if you are not satisfied with their service. GetResponse is not just an E-mail marketing tool, but all in one marketing solution. Its pricing is also very reasonable starting from $15. It comes with various flexible plans and advanced features which can generate very effective blog traffic. It provides a generous 30-day free trial (no credit card required). Related Topic : 9 Reliable Email Marketing Services For Startups’. BuzzSumo : Researching your competition should always be a part of any good marketing strategy. Buffer : for content scheduling, one of your best friends when it comes to content promotion. Google Analytics: tracks and reports your website traffic. Getting visitors who have landed on your blog, to stick around is a difficult task. Visitors mostly form an opinion of a website within a few seconds, based on which they decide whether they will stay on the website or leave. Understand your Readers is a particularly important step that will allow you to adapt your marketing strategy along the way and make the necessary adjustments to develop your sales performance. As we say "the customer is king" or Reader is King and you must know how to adapt to his/her needs and desires. In the opposite case, they will go elsewhere and that: this is clearly not your goal! Successful SMEs today are those who understand the importance of putting the customer at the heart of their strategy. Create and publish content on your blog that is engaging; integrate ample images, graphics, and videos in the content to make the written matter less dull for the readers. A converting content should be Readable, Memorable, Quotable, Actionable and Reportable. This is one of the key elements of conversion: being able to inspire confidence in a visitor who searches for what you sell, but who does not necessarily know you. To put the odds on your side, collect the testimony of satisfied customers and integrate some, also include a physical address and a phone number so that your users are reassured in case of problems. The right layout can do wonders for the conversion rate of a website. Not only does the layout play a huge role in the user experience of a website, but it also can increase the bounce rate. Moreover, studies show that readers scan through content on a webpage in an ‘F’ or ‘Z’ pattern, so be sure to add the important content in these areas. A Call To Action (CTA) is an image, a link or a button that invites the visitor to your website to click to be redirected to the destination of your choice. It is literally a "call" to take an "action". By increasing the visibility of elements of your site, you draw its attention to the depth of your proposals and facilitate understanding. 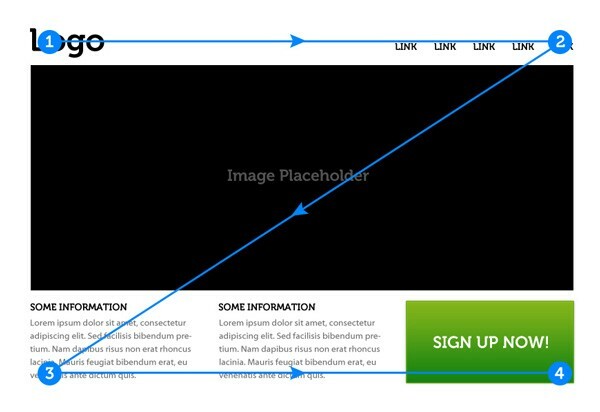 By encouraging the user to perform one of the desired actions, this visual element improves the visitor / client conversion rate. The formulation and highlighting of a call-to-action favors the response rate and allows you to effectively strengthen your contact base prospects. Dont forget email marketing as mentioned, the more your customers know you and the more likely they are to do two things: buy your products or services and refer you. To get there, you need to keep them informed of what's going on in your business. The email newsletter is the best way to get there. 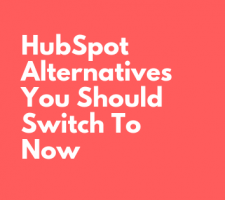 News, promotions, and tips are just a few topics that you can insert. The important thing is to provide relevant information that your customers are looking for in order to retain them. The landing page is the first webpage a visitor lands on; the main function of which is to retain customers. The landing page displays the most appealing options, only the relevant content, and a great layout, which is different from the rest of the website. In order to reduce the bounce rate, the best way is through landing page optimization. Generally, for a user to agree to give you his money, he must feel confident. This trust must be felt in the visual presentation of your site, that is to say in its professionalism and design: your logo, the location of visual elements (images, videos, etc.) and also the quality of your site. The payment method you will use. The payment must be made through a secure payment module, which ensures the user that his data will remain confidential throughout the purchase process and after. LiveChatinc: Get in touch with people on your website and point them in the right direction. Grammarly: Make your messages, documents, and posts clear, mistake-free, and effective. ​Thriveleads: Your all-in-one WordPress lead generation solution for adding opt-in forms, 2-step opt-ins, exit-intent opt-ins - complete with our split testing engine. Getting your blog up and running is an achievement, but this achievement is just a battle that is won, the fate of the war still has to be decided. In other words, your blog still needs to establish a strong readership base so it can be monetized. Yet, successful monetization is only possible if you have been successful in promoting your blog and have garnered a fair share of loyal readers and followers. The most commonly employed ways to monetize your blog are Advertising, Sessions and Services, Affiliate Marketing and Subscriptions. If you want to run ads on your website without the hassle of finding advertisers, then Google AdSense is the right option for you. This program will run advertisements in the sections available on your blog from clients, and pay you in return. The only issue with AdSense is that your blog or website needs to fit their eligibility criteria, for them to run ads on it and requireed a decnet amout of traffic (I do not recommend it for starters ). Google AdSense follows a cost-per-thousand-impressions (CPM) which basically means that the advertisers will pay you a fixed price on every thousand impressions they get on the ads they run on your website or blog. Selling other people's products is a nice monetization solution for making money with your blog: It's called affiliate marketing. There are several marketplaces that offer commissions to publishers of sites / blogs. Publishers sign up for free, get their affiliations links and post them on their websites. As soon as a sale comes from their links, they are notified by partner sites. These marketplaces are usually called affiliate platforms. They connect sellers (who offer products for sale) and affiliates (who promote products). There are three types of affiliate : those that offer physical products, those that offer digital products and those that offer health products. A good example is, Amazon associates. Amazon Associates is a form of online affiliated marketing where you a website owner or blogger can add Amazon products in the content or layout of their website. A blogger or website owner has the option to choose the kind of product they want to advertise on their website, depending on its relevance and the content strategy of the blog or website. The way Amazon Associates works is that after signing up, you need to add the clickable links, content, or widgets to your blog in a subtle matter so not to come off as blatant advertising. Getting local businesses to advertise on your blog, and getting endorsements from local brands is a lucrative way of monetizing your blog. However, scoring high-paying advertisers and maintaining a steady relationship with them is a hard task. You need to create a proper plan that showcases how both you and the other business will benefit from this advertising, schedule and appointments and then pitch this to the local businesses. This task requires both time and effort, yet, it is something you should work on, as this will earn you more money than Google AdSense will. If you want visitors and readers to opt for paid subscriptions, then you need to have a loyal readership base, and strong promotional and content strategies. Attract your readers with good offers, amazing discounts, and great content. Show them everything they will miss out on, if they don’t go for the paid subscription. If you have a popular blog then you might be approached by a small business or startup, who will be willing to pay you to write a post or review of their product. Consider this a type of influencer marketing, or rather affiliated marketing; you will get paid for the post, in return for indirectly promoting their product. Like we mentioned earlier, guest blogging and guest posting is necessary for the search engine optimization (SEO) and promotions of a website. This applies both to you and to other bloggers. Hence, once your website has gained a loyal following and a strong readership base, you can open your blog up to paid guest posting, which is a highly paid way to earn money from your blog. If your website has a good readership base, the most bloggers will approach you themselves for an opportunity to write a guest post for your blog. They will get new followers from this, and you will get paid, it is a win-win situation for both parties. This option is not applicable for every kind of blog; however, if you have a therapy, wellness, fitness, cooking, makeup or personal styling blog then you are in luck. Offer your readers a chance to get an exclusive consultation, training, class, or tutorial with you. Tell them everything that you will teach them or help them within this session, and that as well for a small fee. you can also go for group training and seminars, by using an online meeting software that allows multiple users to sign in to a meeting or webinar at once. Later on, if your sessions become a success, then you can raise the fee to monetize the blog. Writing an eBook and selling it on your blog is one of the best ways to make money online. People love ebooks because it gives them a plethora of knowledge in a convenient way. You can sell your eBooks directly from your blog, or you can sell them on kindle - anyway, it's your blog that acts as a marketing tool that encourages people to buy your book. The Kindle publication is great if you have never published an ebook before. Write a book in your chosen niche - it does not have to be epic - it should simply provide great information to the reader. Again, all you need to do is write excellent blog content that provides people with useful or valuable information and then they will be ready to buy your product. You can create new books whenever you want, and have a designated page on your site where people can see them. Make a ‘My Shop’ section on your blog where you can sell souvenirs, branded goods, and recommended products, for a small profit. If you are going for branded goods and souvenirs then you can keep mugs, shirts, key chains and other such items with your logo printed on them. And if you are leaning more towards recommended products, then you can make an affiliated marketing plan for local businesses. In this affiliated marketing plan, you can offer them paid posts and keep their products in your online shop for your readers to purchase. This idea of integrating a ‘My Shop’ section on your blog might not bring in huge profits, but it is a good source of side income and a means of monetizing your blog further. Qoura: What are the high paying affiliate programs? Well, it depends on niche topic, blogger efforts, hard work. But still, i can say, a blogger, if work properly with their professional approach, they earn 5 to 6 figure income per month from blogging. Some bloggers publish their own income reports, but again, it’s difficult to draw general conclusions since each blogger’s circumstance is unique. One of the more well-known bloggers who continues to share his is Pat Flynn from Smart Passive Income. So that’s how I’m preparing to make money while blogging. Now I want to turn it over to you: Which of the steps from today’s content are you going to implement first? Before you go, I’d like to say “thank you” for reading this article. So a big thanks for reading all the way to the end. Let me know your opinion by leaving a quick comment below right now.